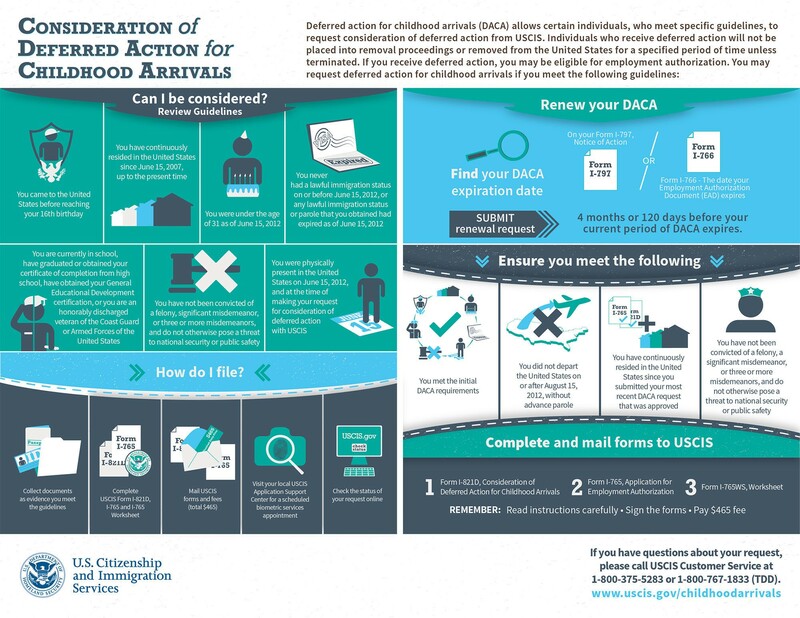 A government graphic shows requirements and the filing process for Deferred Action for Childhood Arrivals program. WASHINGTON – Arizona has the highest rate of deferred deportation applications in the nation, with two-thirds of the estimated 34,000 eligible immigrants in the state signing up, a new report says. The Migration Policy Institute report cited a “mixed picture” for the two-year-old federal Deferred Action for Childhood Arrivals program, noting that while many have applied there are still hundreds of thousands who have not come forward. DACA, unveiled in summer 2012 by President Barack Obama, lets undocumented immigrants who were brought to the U.S. as children stay for renewable two-year terms without fear of being deported, under certain conditions. The institute report said that 643,000 people had applied as of March 31, out of an estimated 1.2 million people who are eligible, an application rate of 52 percent. In Arizona, 23,000 people have applied, or about 66 percent of the total eligible. The next-highest state was Texas, with an application rate estimated at 64 percent. 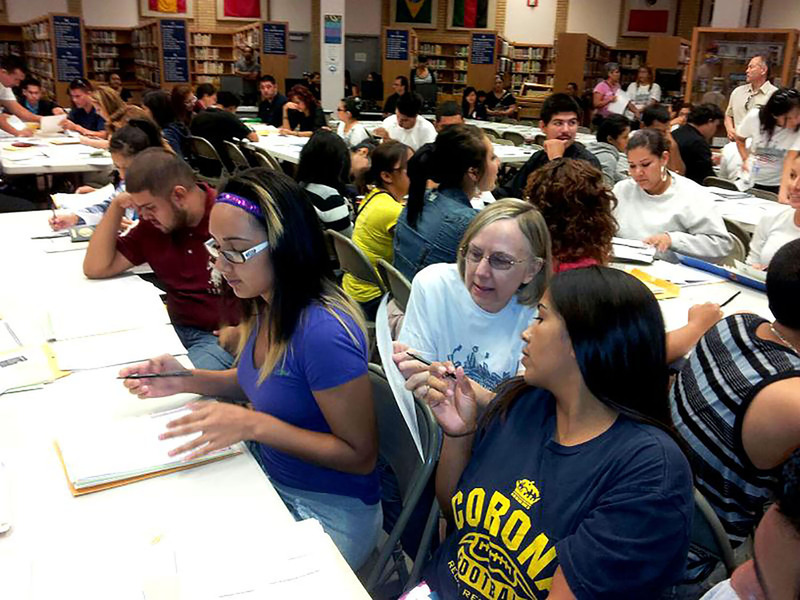 “Even though we have the highest rate … I don’t think it’s high enough,” said Dulce Matuz, president of the Arizona Dream Act Coalition. Matuz said one reason Arizona is doing well is because advocates have made resources available to help eligible individuals in the state apply for the program. 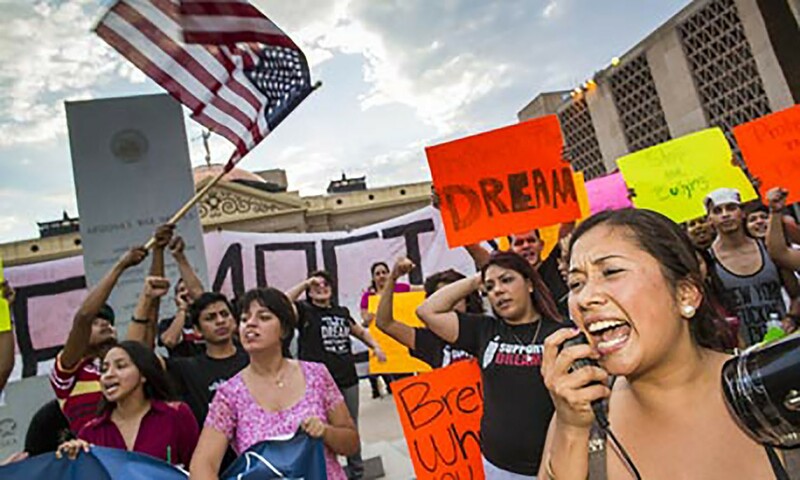 The Arizona Dream Act Coalition’s “No Dream Deferred” campaign provides information and assistance to people applying for deferred deportation. Matuz said the organization has helped process about 1,500 applications. Randy Capps, director of research for U.S. programs at Migration Policy Institute, agreed that resources available to DACA applicants in Arizona might have boosted the state’s standing. He said applicants can face significant hurdles, beginning with the $465 application fee, in an eligible population that tends to have a high level of poverty. Capps also said the process can be less than straightforward, which means applicants may need to pay for legal assistance as well for things like proving continuous residence and dealing with criminal records. Both Capps and Matuz said Arizona’s political climate could also contribute to the high rate of DACA applicants in the state. But she said that anti-immigrant sentiment may also be one factor that’s keeping the remaining people away – they’re afraid to apply. Of the 23,000 applicants so far in Arizona, 19,990 have been approved for deferred-deportation status, according to the U.S. Citizenship and Immigration Services. To qualify for DACA, an applicant must have been under age 31 on June 15, 2012, and younger than 16 when they came to the U.S. They must also be in school, or have received a high school diploma or a GED certificate, or have been honorably discharged from the military. DACA recipients must also prove continuous residence in the U.S. since June 2007 and cannot have committed a felony or significant misdemeanor. 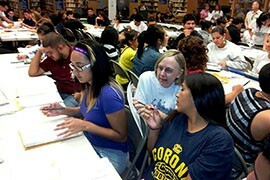 The Arizona Dream Act Coalition hosts a DACA application drive. 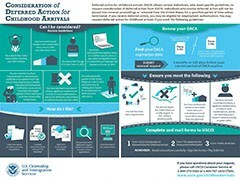 Officials say resources like this could be one reason for the lrelatively high rate of people in the state applying for the Deferred Action for Childhood Arrival program. 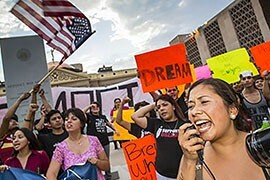 DREAMers at a rally in front of the Arizona Capitol.